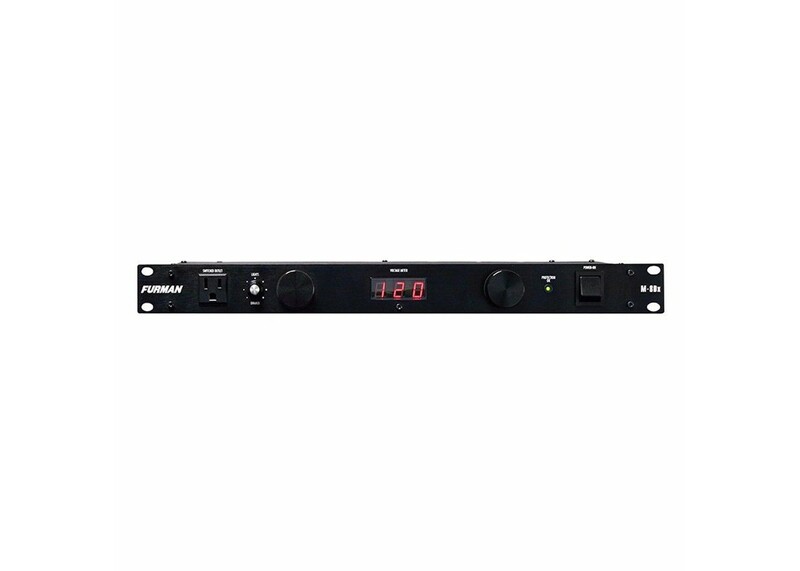 Install an M-8x2 in to the top slot of your rack, and the eight switched outlets in the rear panel will power up and protect all your equipment up to a 15-amp load. A Merit Series Power Conditioner is the perfect low-cost AC power solution for any rack mount system. The M-8x2 is designed for applications where lights are not required. You've got a rack for your effects, preamps, tuner. You're going to plug that into the wall? One big spike and your rig is up in smoke. Furman's standard level surge/spike protection defends your gear from the spikes and surges that are so common at gigs and practice spots. With Furman's standard level RFI/EMI filtration, you'll get a quieter tone without pops, crackles, and the local radio station coming out of your amp. Bars, clubs and other event venues have some of the worst power out there from air compressors turning on and off to light shows pulling current loads up and down, the AC power can be a strain on the circuits in your rig. Furman's standard level protection and filtration keeps the bad stuff out.